The race for Cook County President looks interesting as the field on the Democratic side looks wide open. There's an incumbent, however, he (Todd Stroger) is very weak and unpopular at this moment and he has nothing but people lining up against him. This year we may actually take our pick as far as who should be the county board president. Another race I'm looking forward to is Governor. In light of impeachment of Ousted governor and the crimes that put him out and for what he's currently indicted for in addition to the current situation the state is in as far as finances and taxation this is the opportunity to put our state in a different direction. It is really be needed right now! Today I saw Bob Schillerstrom announced his run for our state's top job live on the internet. It was a rousing speech where he hopes to bring the success he brought as the County Chairman of DuPage County to the rest of our state. He's a relative unknown so I would be interested to see how far he may go. Slightly more known is Dan Proft who made his intentions clear earlier this week. Well if you follow the media, especially hear his commentaries on WLS-AM or know that he was the spokesman for the city of Cicero, IL or perhaps you know him as the publisher of the defunct online news site, Illinois Leader. As to whether or not he should be Governor is another thing. His general plank seems to be more confrontational. His motto is to say that Illinois is not merely broken, but it's fixed. His job is to unfix Illinois and he already has a target and it certainly resonates with me, Chicago's public schools. He also points to the state's toll roads, but I rarely ever have to use them. When he thinks Illinois is fixed he says that it only works to the benefit of not its citizens, but to the powers that be. The public schools, health care, and tollways only operate to the benefit of public sector unions from whom the so-called "Chicago Nine" derive their power. In talking about the issues facing Illinois he points his finger at not just the prevailing Democratic party in Illinois, but also the Republicans of this state. Proft is certainly part of the wing that seems to demand some type of purity and those who may not fit his definition of a "true Republican" well ought to be nudged out of the way. That may well be may be coming from in his general point of view politically and personally I'd be concerned especially if he has a genuine concern about the education, health care, and tollway systems. So he'll be going after the prevailing Democrats and the RINOs in Illinois. Too bad that politics is more about addition than it is subtraction. He can get some Democrats onto his side and perhaps these so-called RINOs, since this is politics it can surely be dome and Proft had been in the game long enough to know that. Of course if they resist his programs then perhaps they are as fair game as anyone. At the same time am I sure he's the one to lead Illinois? Well all I can say is that I'd like to feel out who may want to become the next IL Governor. The field isn't through forming yet, and I'm very sure that we'll know before February 2010 who wants to be part of this new wide open sweepstakes. 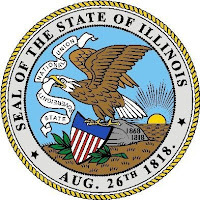 Most importantly who may have the vision to "un-fix" Illinois? I think Dan Proft is exactly what Illionis needs. I will support him. I agree Dan Proft all the way. He is the only one is the race who is not part of the corrupt establishment.